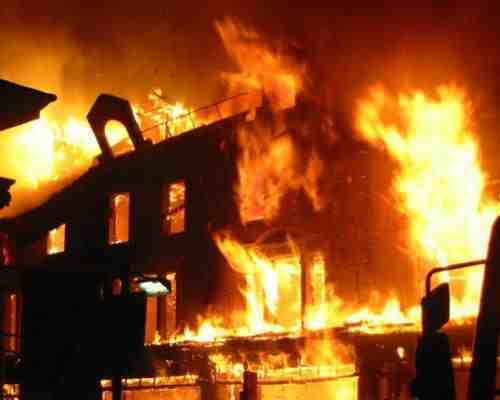 Property worth millions of Naira has been consumed by an inferno which occurred very early this morning at the Imo State University, Owerri. It’s said to have begun at about 2.00 a.m up till the day break but people believe if the fire fighters had showed up; the damage would have been significantly reduced. Though no life was reportedly lost in the fire, property of the university, personal effects of some workers and petty traders worth several millions of Naira were engulfed by the fire, The Guardian reports. According to an eyewitness account, the fire, the source of which was yet to be determined, went unchecked because even fire-fighters within the premises did not show up. The Acting Vice Chancellor, Prof. Bertram E. B. Nwoke and other top officials of the institution, have visited the scene and expressed worries about the setback caused the institution by the inferno. Governor Rochas Okorocha was said to have approved relocation of the institution to Ogboko, Ideato-South Local Council of the state.